Because of its high proportion of fiber it is very digestible, it helps digestion and provides energy in concentrated form. For our assortment we only use flawless, ripe fruit - we also provide products from certified organic farming. Dried apples are an exceptionally tasty snack between meals. We supply Apple rings, Apple wedges, Apple chips and Apple pieces. Dried apricots contain many mineral nutrients, up to five times more than fresh ones. Unsulphurised, sulphured and also from organic cultivation on offer. Dried sour cherries, sweet cherries an amarena cherries, natural or sugared are very tasty in muesli, yoghurt or as a snack. Dates give you a pleasant soft feeling in the mouth, and their tasty sweetness makes them perfectly suitable for muesli, Christmas baking, fruit salad or as a snack. The fig is one of the oldest domesticated crops. We supply natural, baglama, lerida, protoben, dwarf figs, mini-figs as well as fig pastes of the best quality. The incomparable sweet taste makes the dried peach one of the most tempting fruits. Natural or sulphured, x-large, large or medium available. Pears are low in acid and therefore taste extra sweet, which is enhanced even more in the drying process. The fructose of the dried pears can develop its full flavour when chewing. 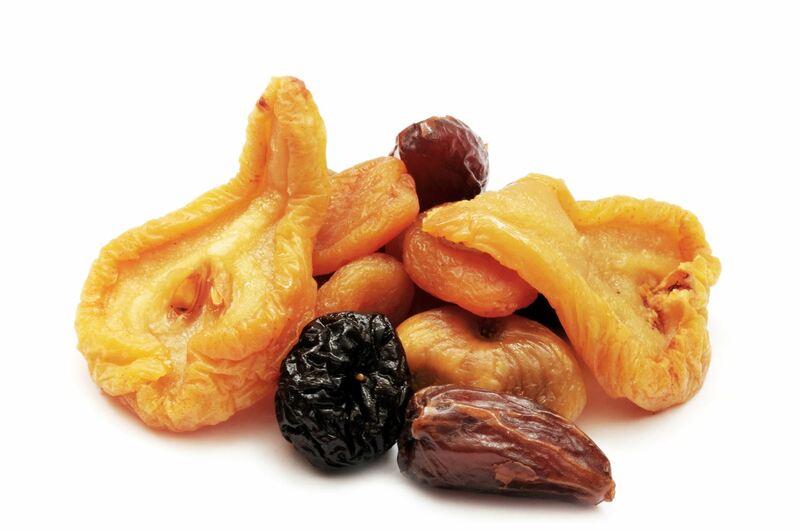 Our sun-dried, dried prunes are aromatic, fruity and sweet, but do not contain any added sugar.